London's Olympic Park, renamed the Queen Elizabeth Olympic Park after the Games, will be home to world-renowned sports facilities, attractions, art installations, fountains, waterways, parklands and green space, plus a variety of event spaces. The home of English football, Wembley Stadium is a 90,000-seat stadium with a sliding roof in North West London, which hosts an array of sport and music events. The number one venue hosting the biggest names in music and staging must-see sporting events and exhibitions. Home of English rugby, this impressive stadium seats 82,000 spectators, making it the largest Rugby Union venue in the world. The venue also hosts top musical talent outside the rugby season. An award-winning exhibition centre located next to the waterfront showcasing a range of events from trade shows to the London International Boat Show. 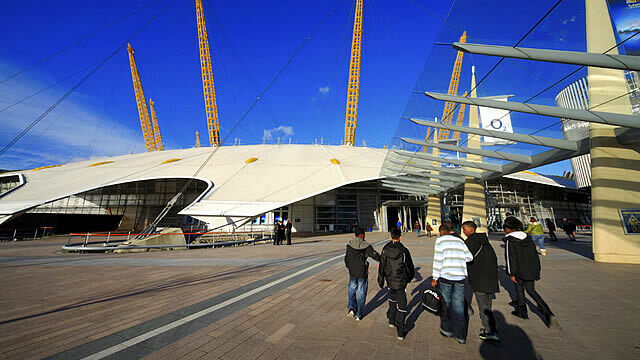 A major music and sports venue, hosts famous music artists, and sports competitions such as badminton and gymnastics. Home to the famous Wimbledon Lawn Tennis Championships which attracts 500,000 spectators and millions of TV viewers. After its transformation in 1951, the Southbank has become one of the largest arts centres. The cultural hub now boasts the London Eye and BFI Imax. The park hosts a variety of free events and is highly popular with photographers due to the stunning views of Tower Bridge. With 5,000 acres of historic parkland, the Royal Parks host a variety of major events both sport and cultural.